In many countries in the world including India, girls face a lot of issues. From female infanticide to gender inequality to sexual abuse, there is no dearth of issues. To curb these menaces, there is a need for awareness on the importance of girl child. 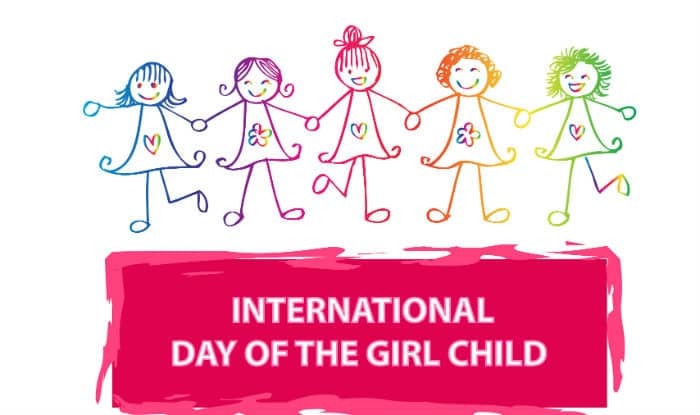 International Day of the Girl Child, which is also known as the National Girl Child Day, was launched by the United Nations on October 11, 2012. Every year January 24 is observed to bring focus on gender inequality and creating more opportunities for girls. It aims to raise awareness about the challenges faced by girls across the world including domestic violence, discrimination and child marriage. Inequality also includes violence against girls and the right to education. Across the world, over 62 million girls have no access to education. Girls are also vulnerable to sexual violence. The International Day of the Girl Child is observed to address all these issues and promote fulfilment of girl’s rights and girl’s empowerment. Greetings on the occasion of #NationalGirlChildDay. Let us celebrate the marvelous achievements of our daughters, who have made India proud. International Day of the Girl Child came into being due to Because I Am a Girl campaign by Plan International, a non-governmental organization. The campaign was to educate people about the importance of nurturing girl child across the world, especially in the developing countries. The International Day of the Girl Child started at Plan International’s project. Every year government comes up with various schemes and programs on this day to empower girl child. Campaigns like Beti Bachao Beti Padhao have started but still, there is a need for more effective schemes and campaigns to mobilize people and the same will get every girl child a rightful place in society and more opportunities to grow.